Posts on our bed and breakfast accommodation blog about Burdon Road, Sunderland, SR1. 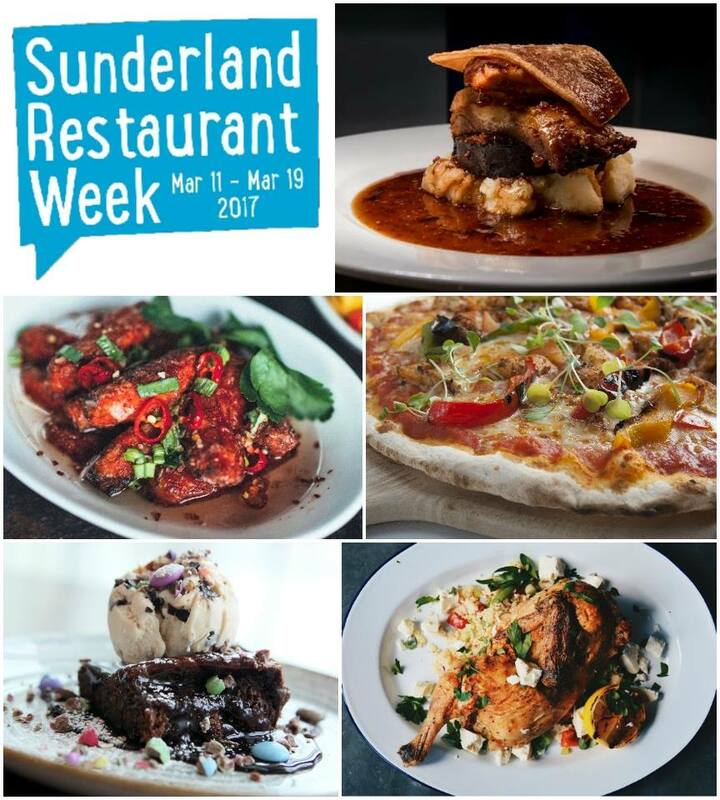 Sunderland’s second restaurant week takes place from Saturday 11th March until Sunday 19th March 2017. Restaurants from across Sunderland will be showcasing their unique flavours, offering special two and three course menus for £10 or £15 as part of Eat Drink Sunderland Restaurant Week. Bavaria, 24 Vine Place, Sunderland, SR1 3NE. This authentic Munich Bierkeller on Vine Place is full of the best Bavarian beers, German schnapps and home-cooked German food. Sunderland Restaurant Week offer: main course for £5. Bion Sunderland, 1 Holmeside, Sunderland, SR1 3JG. Believe It Or Not, you can’t miss BION Sunderland. Located at the top of Holmeside street, the bar and eatery offer a great range of hearty dishes and bargain breakfasts. Sunderland Restaurant Week offer: two course meal for £5.99 (12pm – 4pm); two course meal for £9.99 (4pm – 7pm excluding Saturday). Sunderland Restaurant Week offer: three courses for £15, including glass of wine. 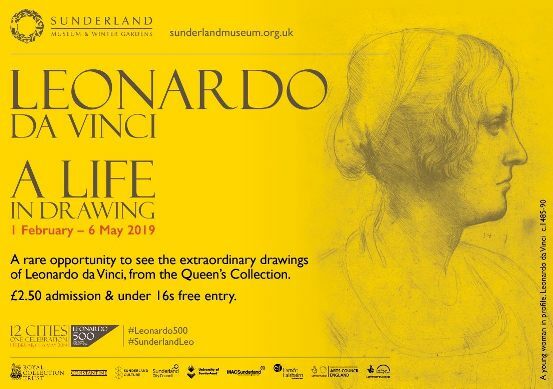 Sunderland Restaurant Week offer: any panini or toastie, cake and beverage for £5. D’Acqua, 28 John Street, Sunderland, SR1 1JG. Passionate local chef and owner Jimmy serves up a mix of quality French, Italian and English cuisine in the romantic cellar restaurant at John Street, using fresh produce sourced from local vendors. Sunderland Restaurant Week offer: two courses for £10, three courses for £15. Divino Pizzeria, 1-2 Burdon Road, Sunderland, SR1 1QB. With pizzas to rival the size of the slices in New York City, Divino’s makes freshly made mains and home-made cakes daily, with portions that guarantee no one will leave the restaurant hungry. Sunderland Restaurant Week offer: two courses for £10 (main course and dessert), three courses for £15. Elephant Tea Rooms, 72-74 High Street West, Sunderland, SR1 3DW. Enjoy a warm welcome and a fantastic range of teas and coffees – and of course cake, too – in this well-loved haunt at High Street West. Sunderland Restaurant Week offer: £5 – pancakes and a cup of tea, hot chocolate or coffee; £10 – Signature Yorkshire Pudding, with creamed potatoes, seasonal vegetables and rich gravy, and a drink; £15 – choose two sharing boards and a side order to enjoy as a pair. Elizabeth’s Restaurant, 30 Bridge Street, Sunderland, SR1 1TQ. With meals made from scratch and a quirky vintage interior, this Bridge Street restaurant has been loved by locals for years. Sunderland Restaurant Week offer: three course Lunch for £10. Available 12pm – 5pm, every day; two course dinner for £15. Available 7pm – close, excludes Saturdays. Sunderland Restaurant Week offer: two course set menu, plus drink and a lucky number bet for £10. Sunderland Restaurant Week offer: any artisan toast & any hot or cold drink for £5. Sunderland Restaurant Week offer: cake or Danish pastry with tea or coffee for £5 all week; two course Sunday Lunch for £10; three course Sunday Lunch for £15. Sunderland Restaurant Week offer: any burger, side and selected beer or wine for £15. Sunderland Restaurant Week offer: any three tapas, chips and a glass of house wine or soft drink for £10. Sunderland Restaurant Week offer: coffee and cake for £5; two courses for £10; three courses for £15. Upgrade to all you can eat for £15. Situated a hop, skip and jump away from the Sunderland Empire and the Bridges, Revolution is a great place to meet friends for a catch-up over quality cocktails and tasty fodder. Plus, if the sun’s out, there’s a lovely roof terrace upstairs. Sunderland Restaurant Week offer: two courses for £9.95. Sunderland Greyhound Stadium, Newcastle Road, Sunderland, SR5 1RP. Enjoy high quality food at unbelievable prices with a trip to the Sunderland Greyhound Stadium. Sunderland Restaurant Week offer: Wednesday evening three courses for £10; Friday and Saturday evening three courses for £15. Sweet Tooth Delivery, 211 High Street West, Sunderland, SR1 1UA. Sweet Tooth Delivery on High Street West is a cake emporium which can only be described as a dessert-lover’s heaven. With its oh-so popular Skittles Rainbow Cake and a whole host of other delectable goodies, it is a firm favourite for fans of sweet treats in the North East. Sunderland Restaurant Week offer: £5 daytime offer; £10 evening offer; £15 evening offer. Sunderland Restaurant Week offer: lunch – two course platter with a soft drink for £9.99; evening – two courses for £15, plus tea or coffee. The Coffin Club Bar and Grill, 1st Floor, 15-17 Derwent Street, Sunderland, SR1 3NU. This Derwent Street bar and grill offers an alternative experience for diners including quirky menu options such as Wing and a Prayer Chicken Wings and The Coffin Dodger ultimate parmo. Go on, join the dark side. Sunderland Restaurant Week offer: two courses and a soft drink for £10. The Dead Rabbit Bar Bistro, 1-3 High Street West, Sunderland, SR1 3EX. Enjoy craft beers, gastro pub food and Handmade Burgers set in the beautiful Dead Rabbit Bar with “The Parlour” on the mezzanine with access to a huge roof terrace. Sunderland Restaurant Week offer: two courses for £10 after 3pm. Sunderland Restaurant Week offer: three course meal for £15 – one dish for starter; two dishes for main course; one side dish of basmati rice; one dessert. The Wolsey, 40 Millum Terrace, Sunderland, SR6 0ES. Close to the Marina, Seafront and the University, and boasting a bar full of beers including guest ales – The Wolsey is the traditional pub of choice for students, locals, visitors to the city and more. Thyme Restaurant, 1-3 Hind Street, Sunderland, SR1 3QD. The Thyme bar and grill at Sunderland’s city centre Premier Inn is a modern dining venue with a contemporary British menu. With everything freshly prepared with quality ingredients from hand-picked suppliers, it is an ideal venue for an evening meal and it is only a short walk away from the Sunderland Empire. Sunderland Restaurant Week offer: two courses plus a drink for £15. Toby Carvery Barnes Park, Durham Road, Sunderland, SR2 7RB. When it comes to roast dinners, Toby Carvery Barnes Park really know their stuff. Every day their chefs lay on a feast of tender, hand-carved meats with all the trimmings – Yorkshire puds, golden roasties with all those lovely little crunchy bits and plenty of freshly prepared veg, all crowned with proper gravy. So it is no wonder they are Tyne and Wear’s favourite carvery restaurant. Sunderland Restaurant Week offer: three courses for £10 – soup, carvery meal & ice cream.